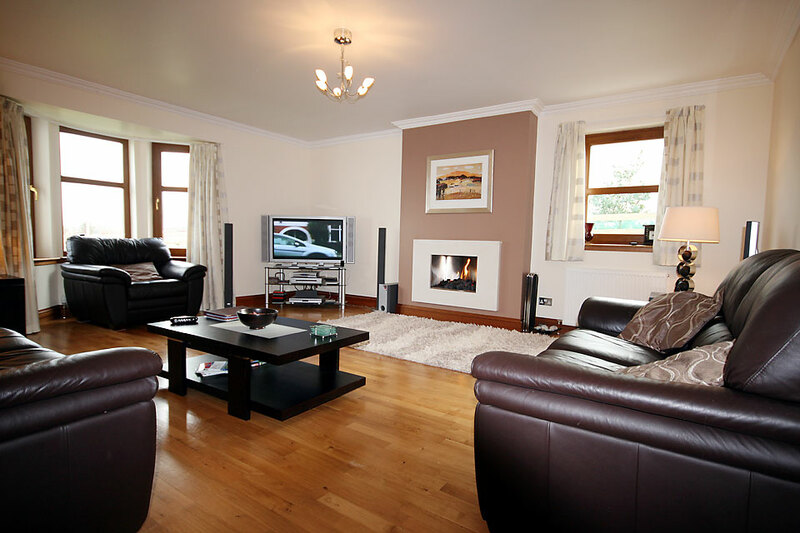 The lounge is spacious and from the bay window there are excellent views over the bay and Kinloch hills. It seats six people with ease and features a solid oak floor and a feature limestone fireplace. For entertainment there is a 42 inch plasma television with Sky, surround sound and a supply of DVDs and CDs. The dining room has French doors which open onto a large patio. A gas barbeque and garden furniture are provided for those who enjoy “the great outdoors”. 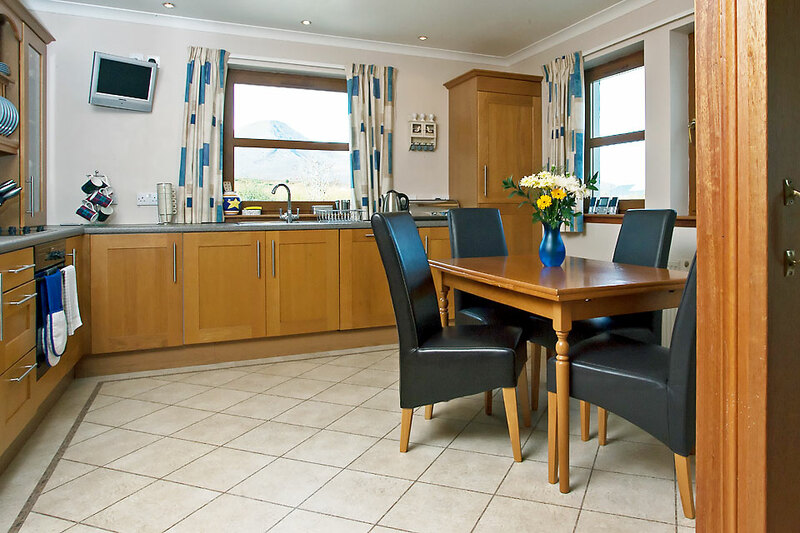 The kitchen is fully equipped and fitted out with quality solid wood units. The appliances (cooker, fridge, freezer, dishwasher) are Neff and all are integrated. There is also a microwave oven and flat screen tv. 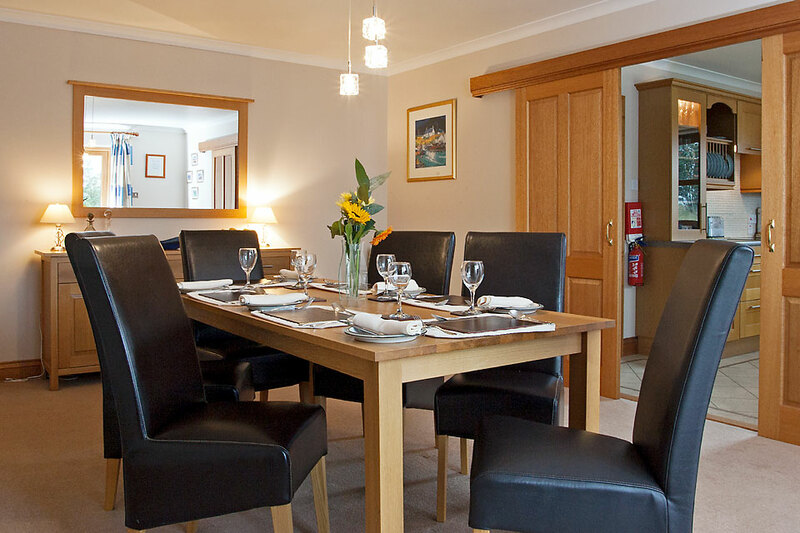 A table and chairs are provided for those who wish to breakfast in the kitchen rather than in the formal dining room. 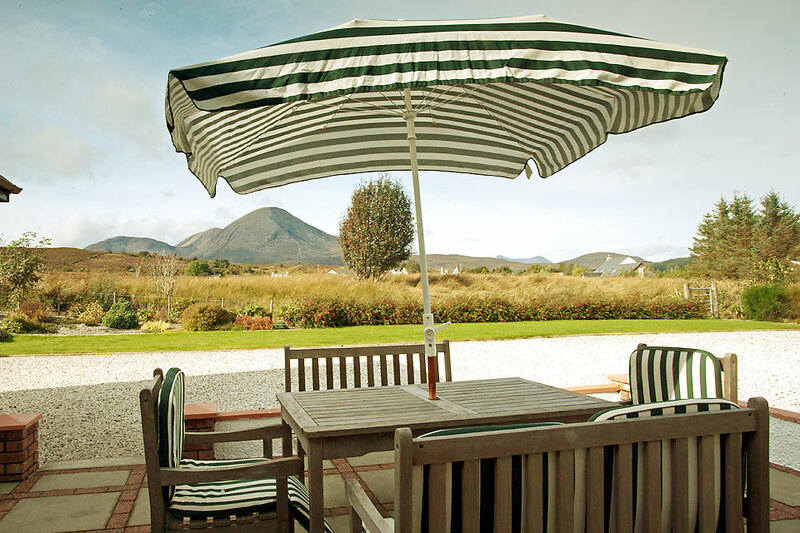 Both these double bedrooms have spacious en suite facilities and enjoy panoramic views over Broadford Bay and the red Cuillins. 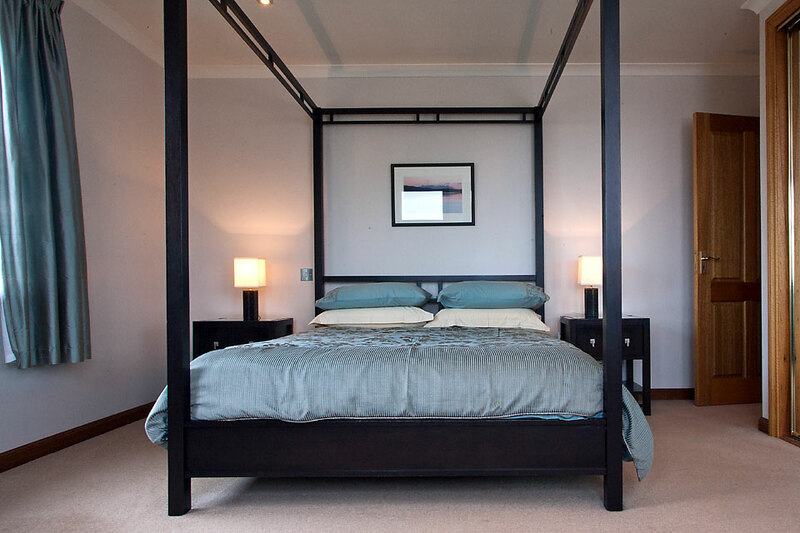 Bedroom 1 has a king size four poster bed. Bedroom 2 has a king size sleigh bed. 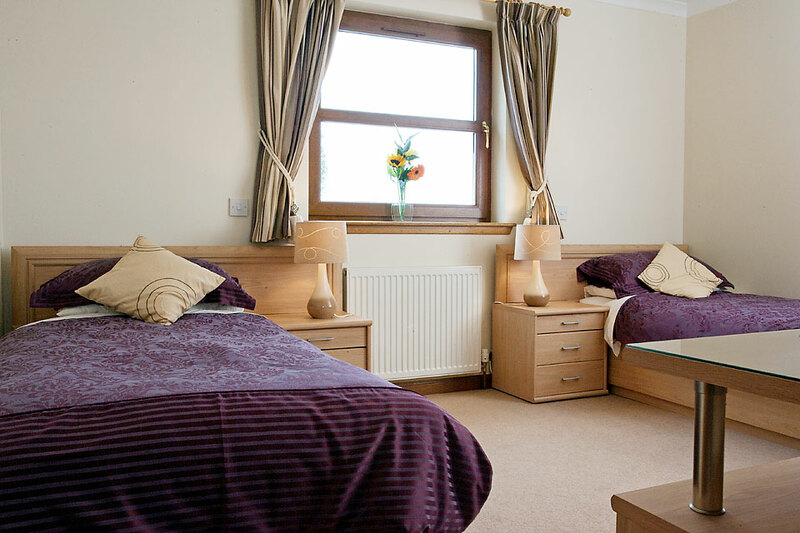 Both rooms are supplied with hairdryers and flat screen TVs. 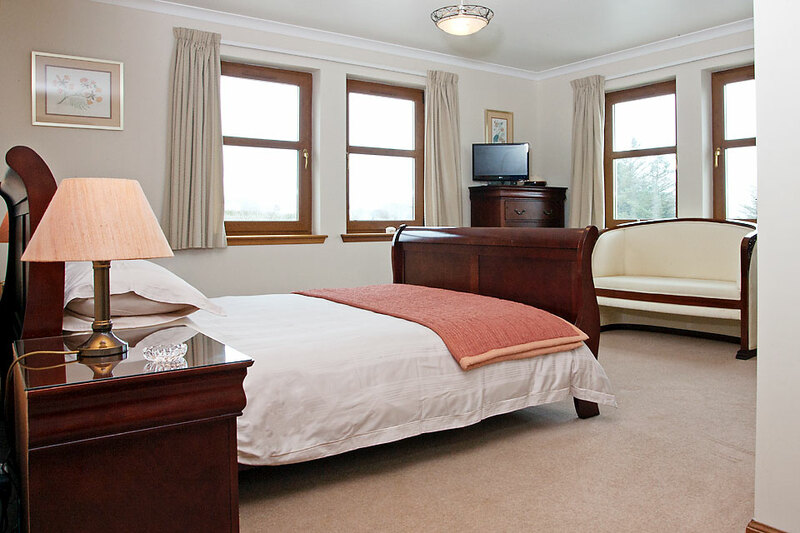 Bedroom 3 is a twin room with magnificent views of the Red Cuillins. A hairdrier and flat screen tv are provided. 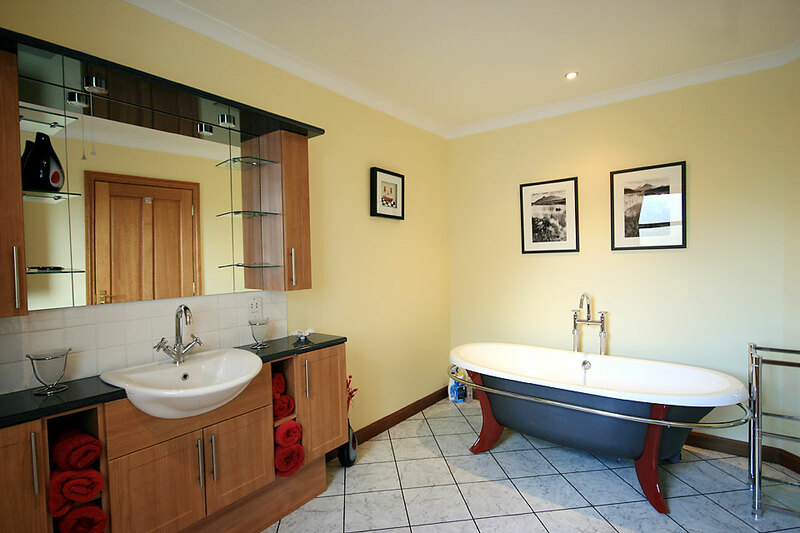 The outstanding feature of the main bathroom is the roll top freestanding bath. The utility room has a washing machine and tumble drier.